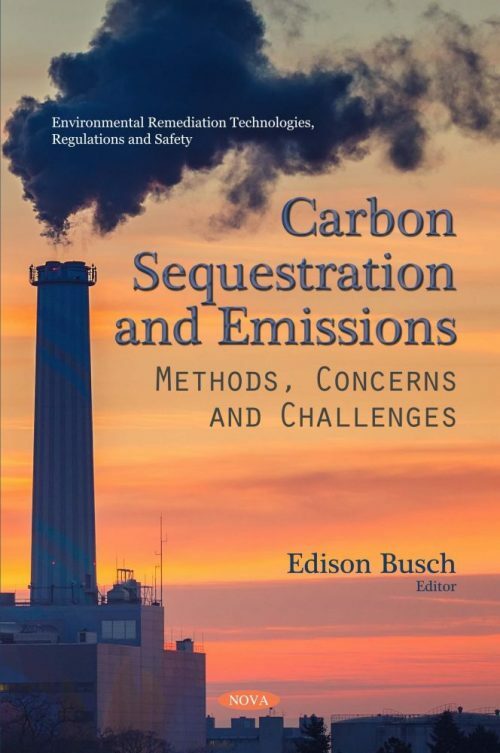 In this compilation, the authors begin by synthesizing the previously published reports of the effects of particulate matter and black carbon on the physico-chemical mechanisms of long term carbon storage in soils. Urban areas generate about 77%, of the worldwide carbon based compounds that are annually released to the atmosphere, whether in the form of gases or fine aromatic carbon solids, all of which may pose environmental risks from biological cell to global levels. Next, one chapter focuses on an estimation of absorption capacity of NH4-N and PO4-P, nitrogen transformation, carbon sequestration and profit analysis of CO2-equiv emission reduction in soils incorporated with organic composts and biochar during corn cultivation. Characteristics of biochar pellet such as absorption kinetics and nutrient leaching are discussed. Furthermore, the effect of plant responses in soil incorporated biochar pellet was investigated. Following this, the authors discuss the climate change mitigation potentials of carbon labels in the aviation industry. The book suggests that there are significant differences in the environmental performance of individual flights, even when operated on the same route or by the same airline. Selecting one flight over another can significantly reduce the carbon dioxide emissions of a single air passenger. Another study aimed to measure certain carbon fluxes in secondary Nothofagus forests with different levels of degradation (degraded-DEF, partly-degraded-PDF and undisturbed-UNF forests). Litter decomposition was determined using the litterbag method. Leached soil solution was collected with tension lysimeters at 80 cm depth, and soil respiration evaluated in situ with the soda lime technique for CO2 absorption. Soil samples were taken at 0-5, 5-20 and 20-40 cm depths to determine the amount of microbial respiration. The concluding chapter addresses soil carbon sequestration potential as a result of soil application of different organic amendments. In all plant-based systems, carbon is constantly being cycled between the atmosphere, living tissue, soil organic matter and soil microbes. Many researchers have emphasized the importance of enhancing both soil organic carbon and soil inorganic carbon pools by suitable land usage and adequate management techniques.